Christopher Dunn ist ein englischer Autor und für das Buch „The Giza Power Plant“ bekannt: Er behauptet, die Technologien des alten Ägypten und die maschinelle Präzisionsbearbeitung sind offensichtlich in den alten ägyptischen Strukturen, insbesondere in den Pyramiden von Gizeh. Christopher spricht über seine umstrittene Forschung in die verlorenen Technologien des alten Ägypten und den eigentlichen Zweck der Pyramiden. New images from inside the Great Pyramid shaft reveal evidence of electrical terminals, cables and even ancient wiring diagrams! 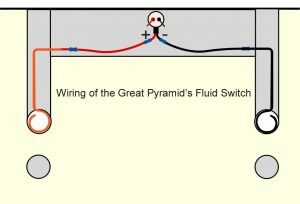 The discovery of electrical contacts and wiring inside the Great Pyramid, along with markings that show how to connect them, do not fit anywhere in conventional Egyptology but confirm the theory first published in my book, The Giza Power Plant: Technologies of Ancient Egypt in 1998. Only this theory has ever made such predictions, and every robot explorer they send up the shafts finds more and more evidence to prove that the theory is correct. Figure 6. The internal cavities of the USO with connectors and wiring. Figure 8. Maintaining the fluid levels in the pyramid shafts. March 11, 2012 The Model. Model of the upper section of the Queen’s Chamber Southern Shaft with the Fluid Switch installed. The model was completed in time for an Ancient Alien interview and demonstration on March 11, 2012. Everything worked as expected. A flashlight was used with the battery taken out and leads from the Fluid Switch connected to it and the battery lamp. (One side of the battery was cut out in order facilitate this as well as to demonstrate the circuit connections). 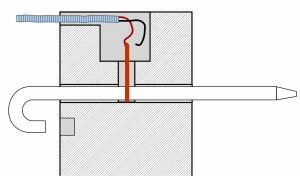 Several takes were made of water flowing into the shaft the in order to cover the end of the pins, thereby closing the circuit and turning on the light. The dimensions of the model, except for the length of the shaft, are the same as the Southern Shaft in the so-called „Queen’s Chamber“ in the Great Pyramid. Plexiglass was used so as to allow for a clear view of all the elements of the assembly of „Gantenbrink’s door.“ The notch in the bottom right hand corner of the „door“ was included as well as a small gap underneath (as seen in exploratory videos from 1993 (Gantenbrink’s – Upuuat II) and 2002 (iRobot team – Pyramid Explorer). 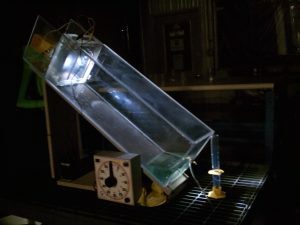 A part of the filming also included a demonstration of the creation of hydrogen using the chemicals described in The Giza Power Plant. I mixed zinc powder with water and poured the mixture into a vessel with two ports and a top chimney, then poured in Muriatic acid. The vessel was then closed except for the top chimney. 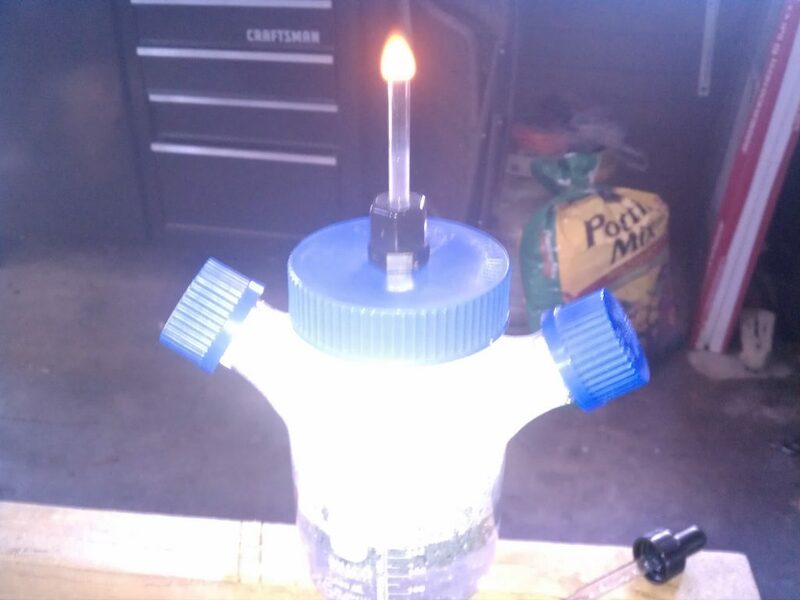 The hydrogen was ignited and burned vigorously until the reaction in the vessel ended. 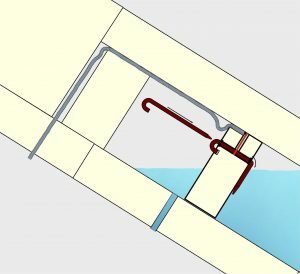 With John Cadman’s demonstration of the Subterranean Pit functioning quite well as a pulse generator, and with the „Queen’s Chamber“ functioning as described in the Giza Power Plant, we are working from the ground up in making the Giza powerplant work. There is much more work to do. „Lost Technologies of Ancient Egypt: Advanced Engineering in the Temples of the Pharaohs.“ In part a study of the precision, symmetry and geometry of the Ramses statues at Luxor and Memphis. Includes studies of many other sites in Egypt and artifacts that prove that advanced technology was used in prehistory. Published by Bear & Company July 2010 http://www.innertraditions.com. Available at all online and brick and mortar bookstores. Barnes & Noble, Borders, Waterstones, Amazon.com, Powells.com. Lost Technologies of Ancient Egypt – Adaptation. What technology did the ancient Egyptians possess in crafting their civilization in granite? This collection of photographs show the hallmarks of precisely guided machine tools. Originally published in 1984, the original article became hotly contested and discussed. Despite opposition to the concept, evidence to support it continues to accumulate. What is behind Gantenbrink’s „Door“? The Precision of the Ancient Egyptians. This article addresses what precision is, how it has evolved is used in modern society and what implications there may be for discovering high precision in ancient Egyptian artifacts. The Giza Power Plant proposes that an explosion within the pyramid caused many of the changes found there. What was not available at the time of its publication was this photographic evidence that supports the theory.. Leading Ukraine Physicist Endorses The Giza Power Plant! Dr. Volodymyr Krasnoholovets graduated as a theoretical physicist from the Taras Shevchenko Kyyiv National University. He has worked in the Department of Theoretical Physics at the Institute of Physics, National Academy of Sciences of Ukraine (Kyiv, Ukraine). His work in the physics of hydrogen-bonded systems has received international recognition. The full article including photographs from the actual inspection of the drill core #7 housed at the Petrie Museum in London. This is important information and will shed light on the enigma shrouding this infamous object. Some believe there is no mystery to Coral Castle. Others believe there is more to it than meets the eye. A convincing new look into the pyramid as a device. Inspired by „Giza Power Plant“ written by Christopher Dunn. Der Frequenzforscher Stephan Josef Timmer war schon immer von den rätselhaften Eigenschaften der Cheops Pyramide fasziniert. Sein Zugang als Tontechniker verschaffte ihm einen ganz eigenwilligen Blick auf die Struktur des Weltwunders. In diesem eindrucksvollen Vortrag geht er auf die Arbeiten von Edward Leedskalnin, Nikola Tesla und Christopher Dunn ein und kommt zu dem Schluss: die Pyramiden von Gizeh stellen ein Energiekraftwerk dar, nur wofür? ►► Mehr Informationen unter http://www.kollektiv.org. I play musical instruments and noticed that the info Chris Dunn was talking about corresponded well to the notes in music so I made a video on my findings. I also have to add, that when he talks about the layers getting smaller and higher, this is because a larger layer will resonate at a lower pitch than a smaller/higher layer. This corresponds perfectly as musical notes. I have been tuning my instruments to A=432Hz for some time now and recommend that anyone watching try it. Did Ancient Egypt Really Have Electricity?